Oily skin shouldn’t prevent you from achieving a radiant, glowing complexion. 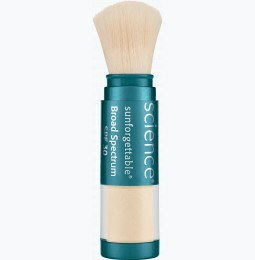 At Colorescience, we offer a variety of powder-based products designed to make your skin glow—without the pore-clogging effects of greasy foundation. 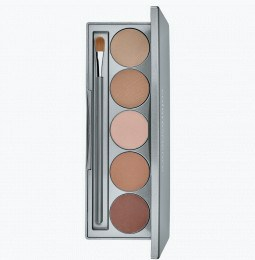 Choose us as your source for nourishing skin-friendly makeup. Find face powder for oily skin and get that matte look you desire with ease. How do I take care of oily skin? Treating oily skin can be difficult, as it can have many causes. Hormone imbalance, genetics, and diet all play a role in oil production. A healthy amount of oil, also called sebum, keeps skin hydrated, but too much oil can clog pores, cause acne, and add shine. Avoid harsh skin treatments if you want to cut down on oil. Stop using exfoliates and products with drying agents, as they can damage your skin and encourage excess oil production. Use a gentle, water-soluble cleanser twice daily to naturally rid your skin or dirt and excess oil. Splash water on your face to clear off your cleanser and dab your face dry with a washcloth. You still need to apply moisturizer if you have oily skin. Choose a water-based moisturizer and wear skin-friendly products from Colorescience that contain an SPF of 20 or higher. Sun exposure can cause you to sweat and produce more oil that can clog pores. 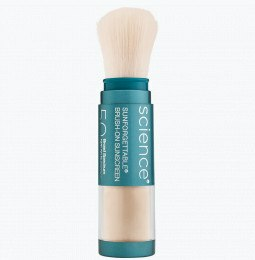 Colorescience powder face sunscreen will add a gentle layer of SPF that will protect your skin and reduce shine throughout the day, without the greasy effects of sunscreen lotion. 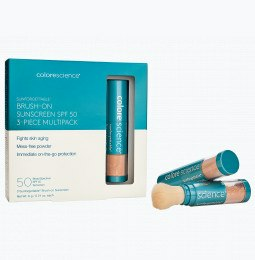 What makeup do I choose makeup for oily skin? Choosing the right makeup for oily skin can be tough, but Colorescience has specially designed cosmetics that help manage oil. 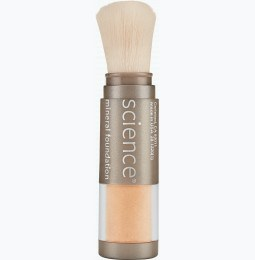 If you’ve tried a variety of foundations with no success, consider Colorescience mineral makeup for oily skin. Our healthy mineral face powder contains organic ingredients that aren’t heavy or greasy, so you don’t have to worry about cakey or runny makeup. 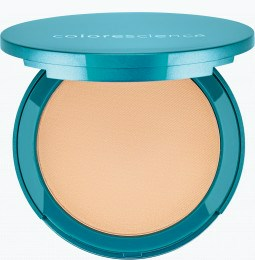 Our mineral-based pressed face powder helps fill fine lines and creates a smooth, flawless complexion. Its non-comedogenic ingredients make it an excellent match for delicate skin, and a sensitive skin face mineral powder can reduce redness and help hide blemishes. To enhance your foundation, use a primer for your face. A moisturizing primer from Colorescience can even out skin tone, reduce the appearance of blemishes, and help keep your makeup in place. If you struggle with oily, dry, or sensitive skin, explore skin-friendly cosmetics from Colorescience to rejuvenate your skin and keep your complexion fresh all day long.